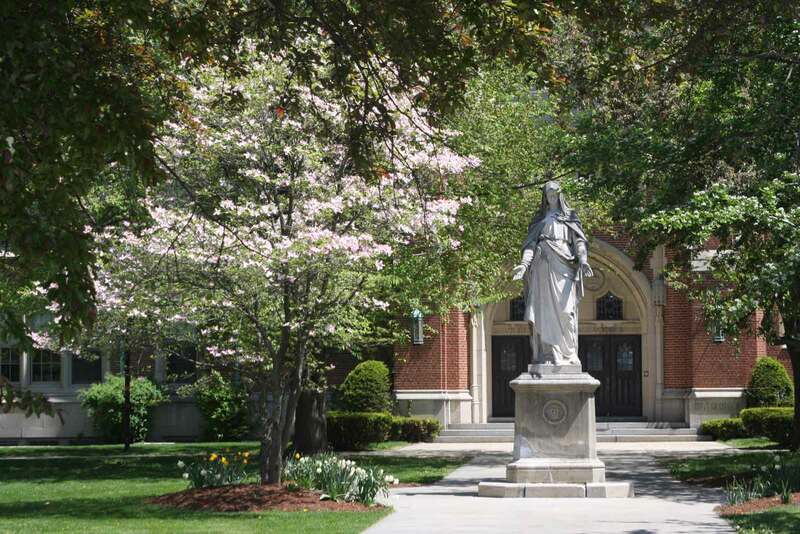 Elms College offers a certificate in Parish Life Direction (PLD). The certificate program provides students with theological, administrative, and pastoral skills while assisting them to assume parish and diocesan roles in the area of administrative function. The PDL focuses on Catholic teaching and tradition, stewardship, resource development, leadership, church governance, human resources, and volunteer management. Participants in the program apply Catholic teaching to areas of social ministry, liturgy and sacraments, canon law, and moral theology. Candidates enroll in the certificate program for ITPS units or graduate credits. with the approval of a pastor. The Springfield Diocese requires a Maters degree such as the MAAT for appointment to this position. Each institute course is offered for three (3) academic credits or twelve (12) institute units. Candidates decide at the beginning of each course whether to register for ITPS units or college credits. Since course requirements for Master of Arts in Applied Theology candidates and ITPS certificate candidates significantly differ, academic credit may not be granted retroactively for courses originally taken for ITPS units. This certificate program when taken for graduate credit can be transferred into the Master of Arts in Applied Theology degree program. Eleven academic courses offered through Elms College Institute of Theology and Pastoral Studies provide an Elms College certificate and certification as a Parish Life Director. The equivalent of the practicum and internship has been built into the PLD so that certification from the Elms would also fulfill the requirements for certification as a lay ecclesial minister in Parish Life Direction from the Diocese of Springfield.